This past month I had the opportunity to present 2 seminars at the Ohio Design Centre’s Market Day. One of the seminars was “Kitchen Trends 2018”. I have been in the Kitchen & Bath industry for over 33 years and have never seen a more exciting time than right now, and this topic fits into that perfectly. There seems to be a “perfect storm” coming together in that there are so many new and industry changing things happening on all ends of the spectrum. Over the years I have hesitated giving a “trends” seminar because I simply felt these trends would be short lived and not be a factor for long. Today I do not feel that this is the case and the “trends” I discussed should not be called “trends” but rather part of a “revolution” within the industry. One of the topics I discussed at market day is “Mise en Place”, which is a French term meaning “everything has a place”. I have taught in the past about the “triangle” method, which is where there are 3 work zones in the kitchen and together they create a triangle. “Mise en Place” has now joined the family. We are now seeing multiple cooks in the kitchen and to accommodate them we are creating “work zones”. An example of this would be the sink area. There are now sinks within the industry that will accommodate multiple people (refer to the galley sink). 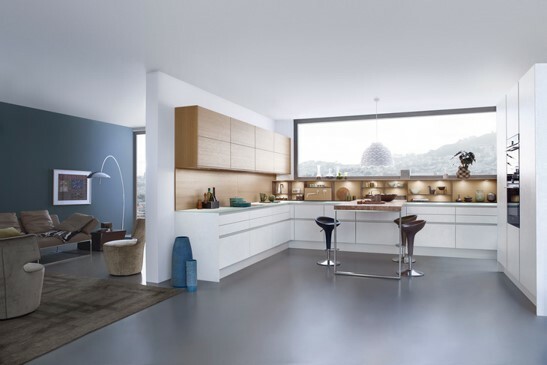 The cooking area also offers similar options for today’s cooking family and encourages the kitchen to be a communal cooking area. 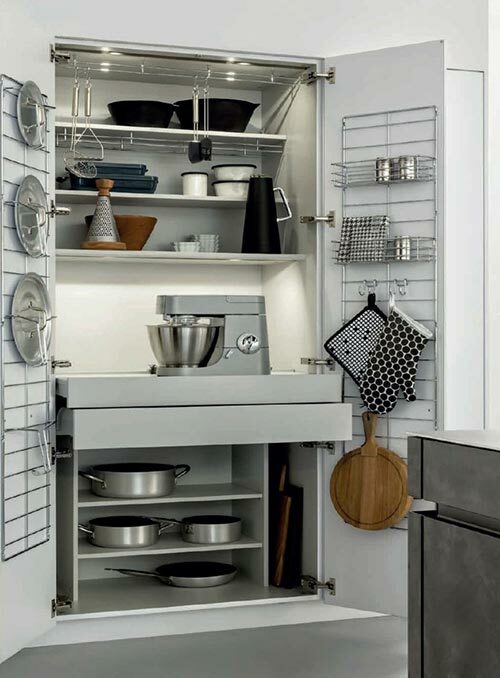 Open layouts are also commonplace when designing the new home or remodel. It is a priority with today’s kitchen to have a space that acts not only as the kitchen but also the dining, entertaining, and work stations. Some other trends worth mentioning are “smart appliances”. These get the title smart due to the fact that you can now have “Alexa” brew your coffee for you, or you can have the oven start from outside the home. One day soon you will be able to have a camera inside the refrigerator to get an inventory of the food, and perhaps someday we will be able to have the unit do an inventory of our food and create a shopping list. 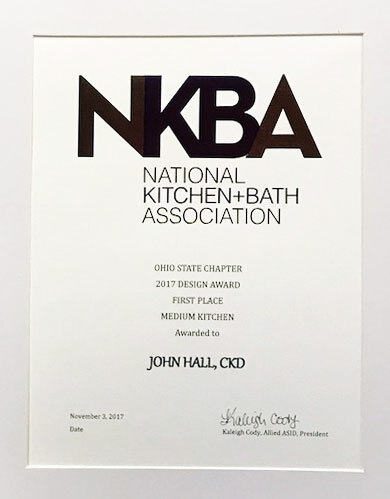 It is truly an honor to announce that I was recently awarded first place in the coveted NKBA (National Kitchen & Bath Association) competition that was held this fall. 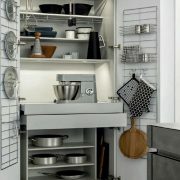 The winning kitchen is located in Medina, Ohio, and was a project I truly enjoyed being a part of. It makes a difference to be part of a project in which the client holds such a passion for cooking but also faith in the designer to create this special kitchen space in their home. The client allowed me to be creative all while maintaining the integrity of the architecture. The project turned out great and I am proud to have been a part of it. 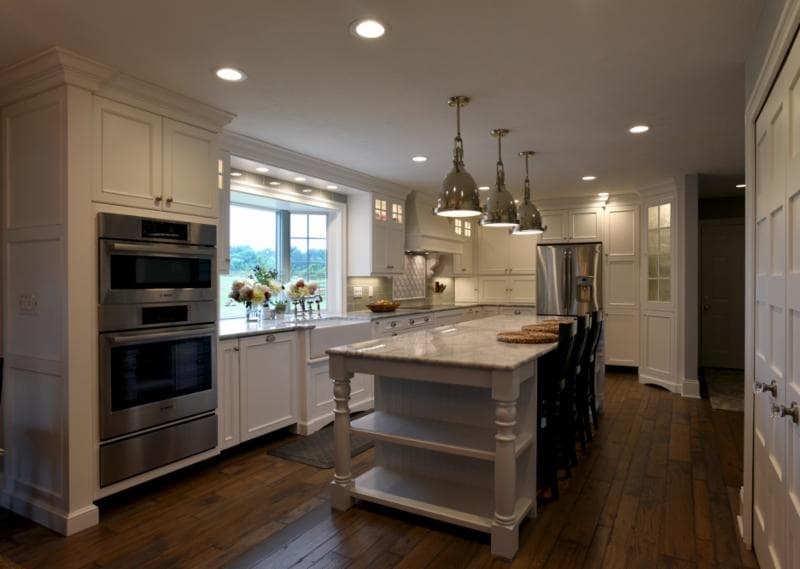 To see more photos of this kitchen along with many other kitchens and baths, please visit the gallery.